I am truly fortunate and blessed to live in the beautiful Sonoma County Wine Country. Even without the rolling vineyards, the landscape is made up of rolling grassland hills dotted with Live and Scrub Oak, Manzanita, Fir, Redwood and numerous other trees. The area was once famous for Apple, Pear and Prune orchards which had their own Spring blossom colors. Today some of the world's most prestigious wines are made here. 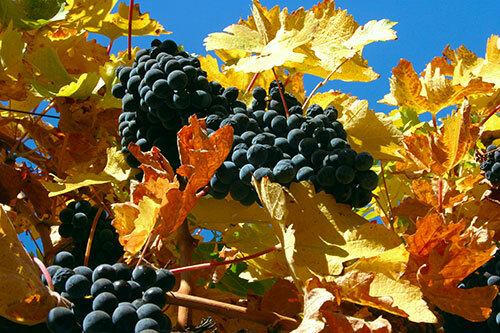 The vineyards paint the countryside with the yellow mustard and barren vines in Winter and Spring. The emerald buds pop-out in April as the mustard is moved to reveal lines of vines almost as if marching up the hillsides. As the grapes mature through the Summer the grapes almost burst with their juice. In Fall it's Harvest time! 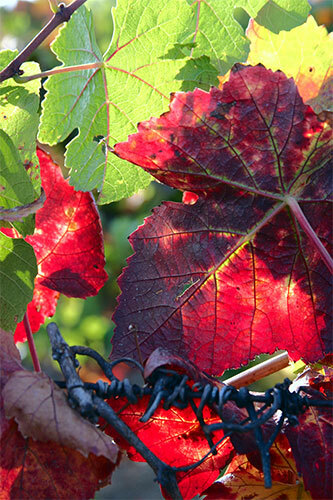 The crush is on and the vines reveal their Fall Colors. As Winter sets in, the leaves weather away and the cycle begins again. All through the year, in every Season, even during rain or storm, there is always a photograph to capture. This is truly a photographer's paradise! It would truly be difficult to describe another sense of Bliss! An afternoon of photographing enhanced by a tasting of some of the finest wines in the World, in any one of the ubiquitous Wineries!